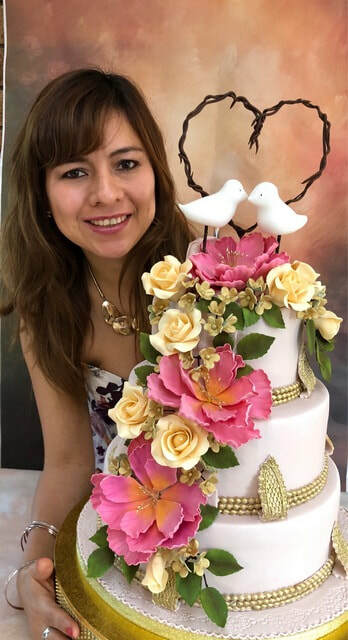 ​Welcome to Frangipani Cakes – My name is Karen and I am passionate about the art of making and decorating cakes. Frangipani Cakes is a family business which has been serving Brisbane for 10 years. We endeavor to make the best Wedding and Birthday cakes in Brisbane. We also specialise in cupcakes, toppers and cake pops which can be made to your unique, personalised design. Wedding, birthday or christening, we can make you any design that will perfectly encapsulate your event. You can be sure your cake will stand out from the crowd. The products we produce are built with love and dedication, with each of them being a masterpiece. For wedding cakes in Brisbane with a difference, or birthday and christening cakes with dazzling personality, we endeavour to be the best cake designers and masters of decoration, we individually decorate each and every product with artistic passion. We can produce that all important symbolic topper, that will deliver the right message at your event. We will work closely with you to make sure we understand the theme of your event and what you want to be portrayed. Things to consider are; wedding dress, suit styles, hair, flowers or any type of hobby or profession you would like to be reflected in the decorations. With our high standards and creative flair; you will get the cake of your dreams. Our customers satisfaction and continued innovative design is of upmost importance to us – your special day will be one to remember. No matter the occasion and no matter the design we can cater for all your needs including accessories like cake stands. So why not just give us a call on 0401 582 901 or send us an email.